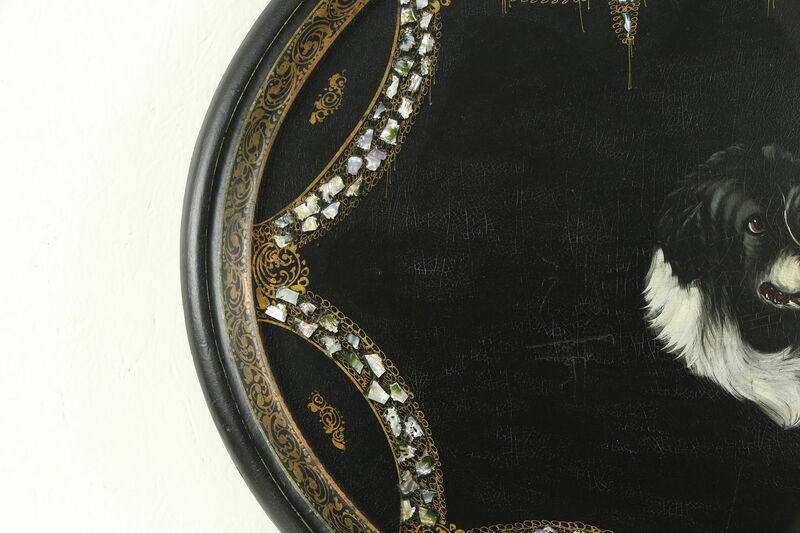 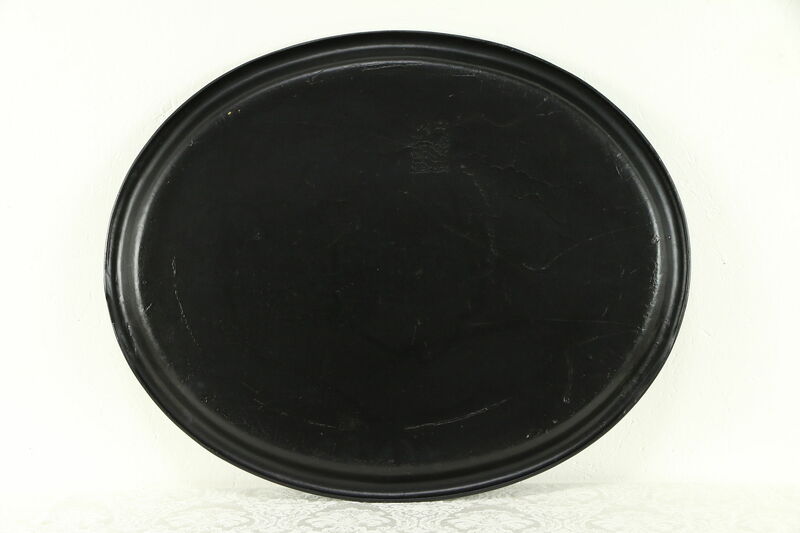 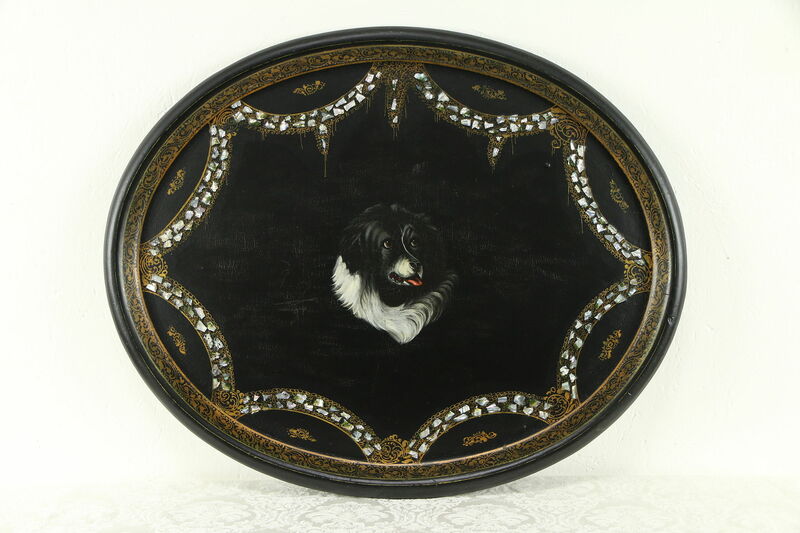 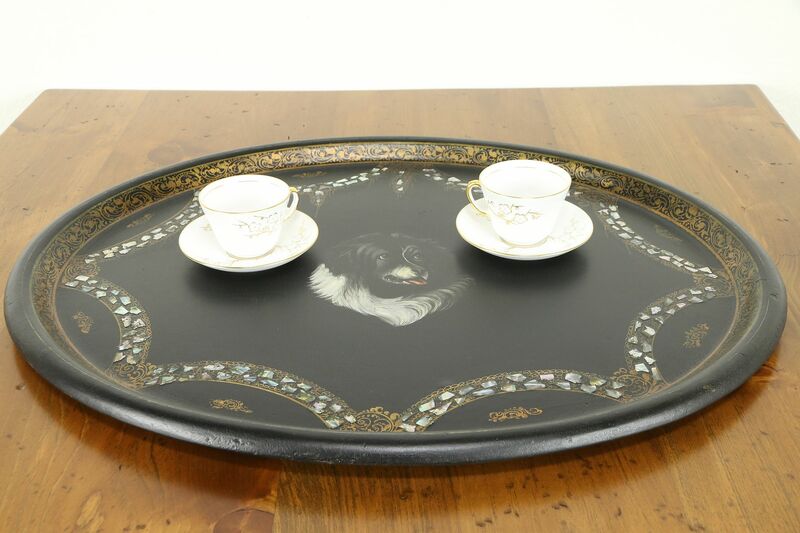 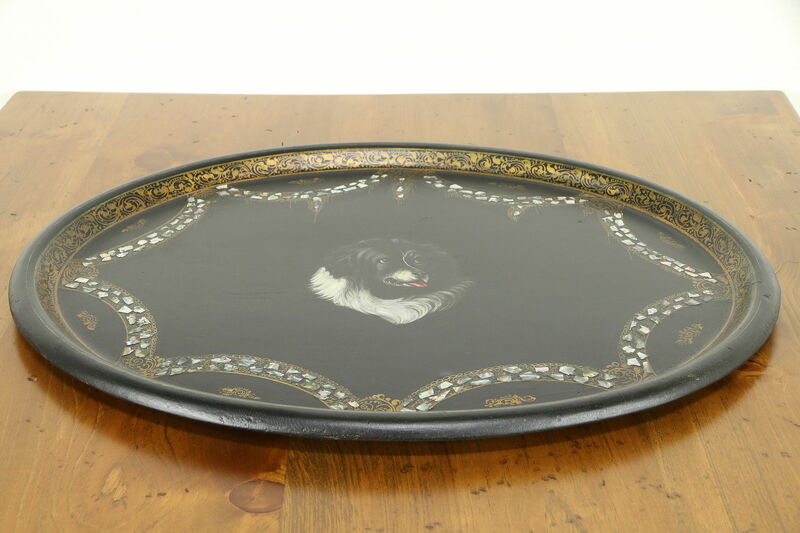 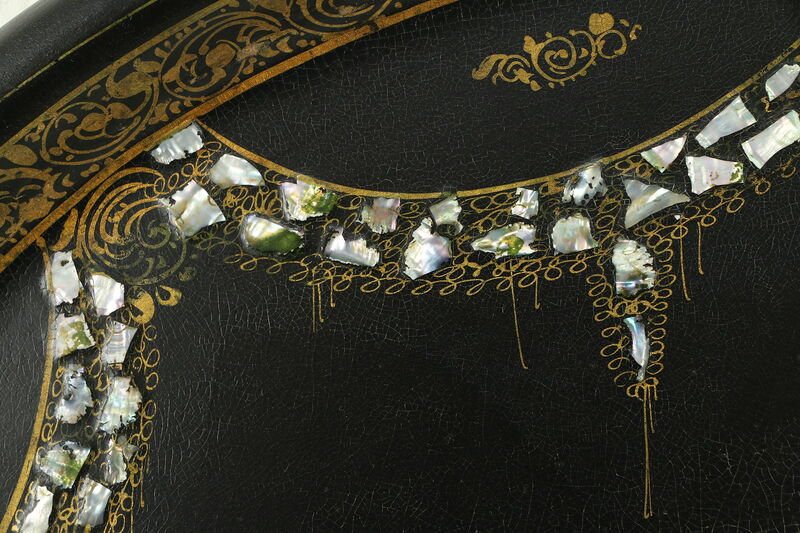 This Victorian period oval tray from the 1850's is papier mache with a hand painted portrait of a dog and an inlaid genuine mother of pearl border. 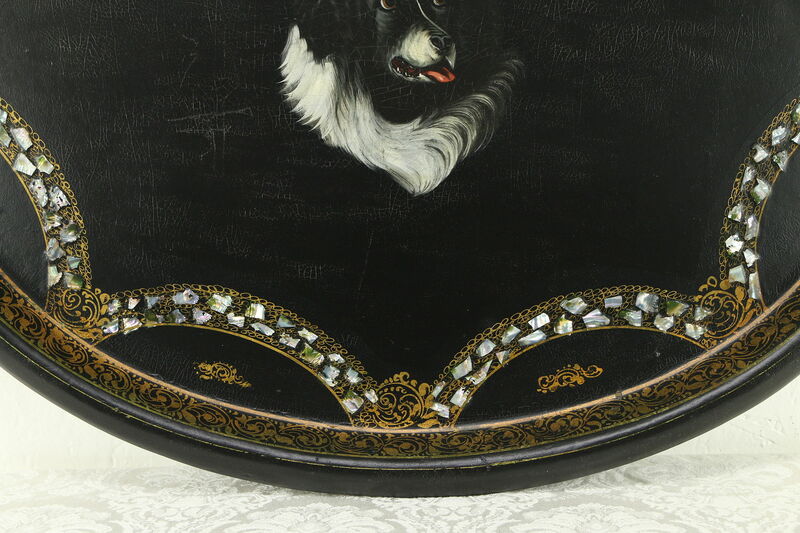 The original dark gold hand painted tracery is remarkably well preserved on a black lacquer ground, which has a little crackling from age, see photos. 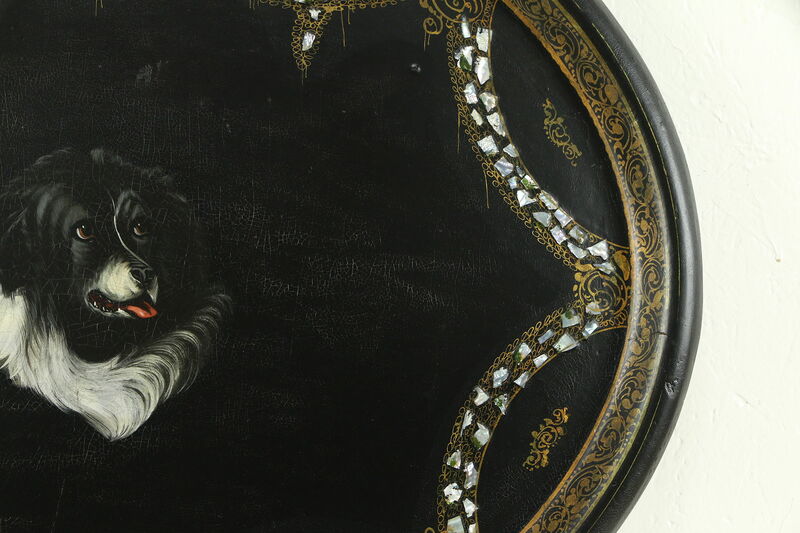 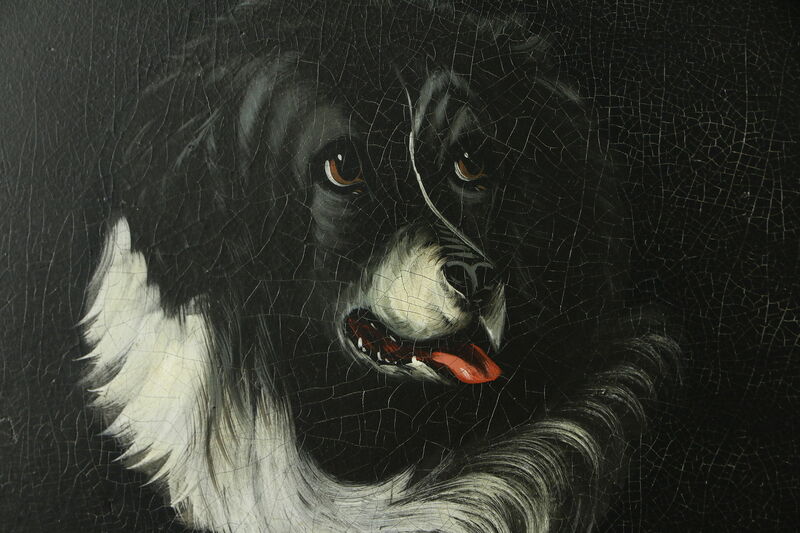 The original painting has been preserved with clear varnish on this antique. 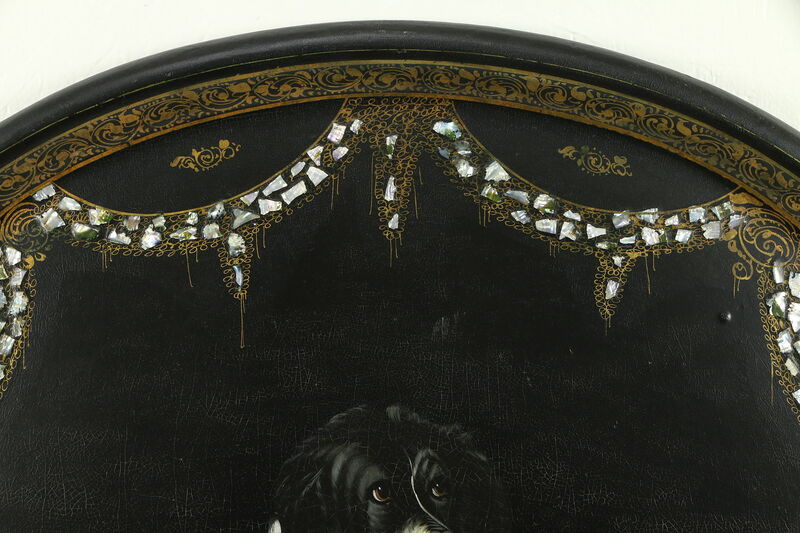 The top has minor restorations at the edges, see photos. 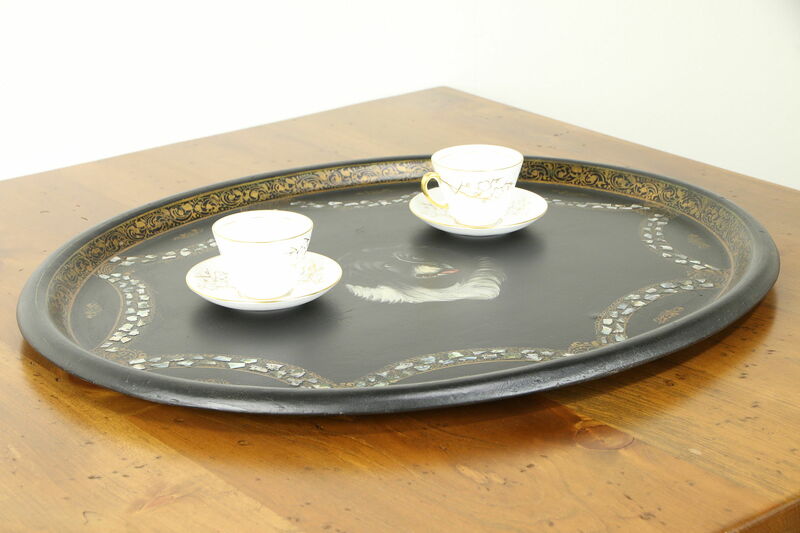 Size is 30" x 25" and 1 1/2" deep.